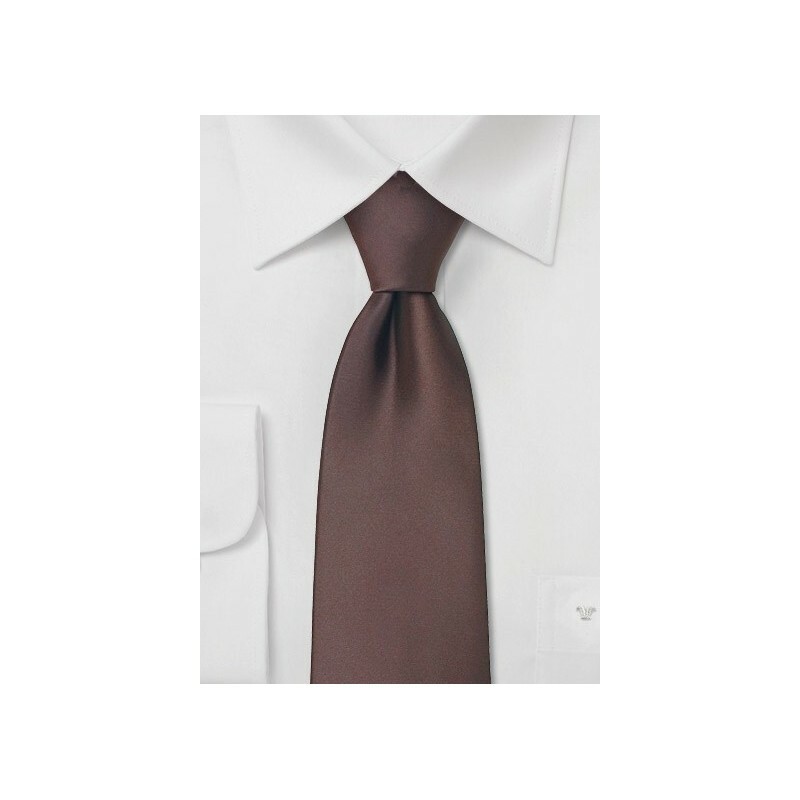 This solid chocolate-brown tie is made in XL length especially for the taller man. It measures 62 inches in length and will be the right length necktie for any man taller than 6 foot 3 inches. The tie gives off an excellent shine and has a soft feel. 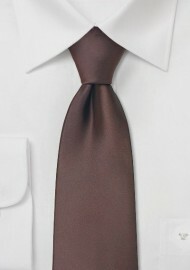 It is the perfect tie for a tan, brown, navy, and light gray suit. Made from stain resistant microfiber. Length: 62", Width: 3.5". Looking for more XL ties? Then view our entire selection of Extra Long Ties.